Tag Archives: Grace and Race Ministries Inc.
Matthew 21:1-11 depicts what has been referred to by many as the triumphal entry or royal reception of Jesus Christ into Jerusalem. According to the Gospel of John, the people laid palms in the street, a symbol of prosperity and beauty. They cried out, “Hosanna to the Son of David! Blessed is the one who comes in the name of the Lord! 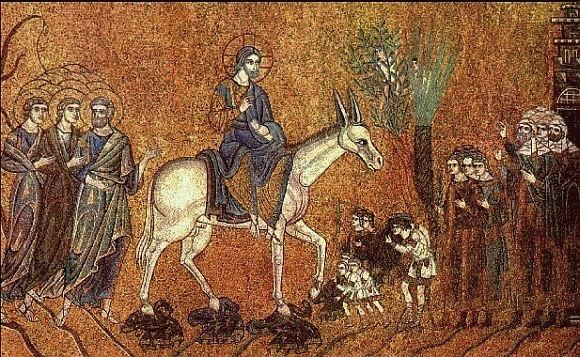 Hosanna in the highest heaven!” The mood is festive until the crowd reaches Jerusalem and notices the fear and anxiety of its citizens. When they are asked, “Who is this?” The crowd answers, “This is the prophet Jesus from Nazareth of Galilee.” In a matter of moments, Jesus has gone from the Son of David to the prophet Jesus. He is dethroned in a matter of feet. Crowds can be deceiving. They give the appearance of uniformity, allegiance and agreement with the mission of the leader. But, crowds are often self- serving, much like the one that was following Jesus. They wanted Jesus to be their king so that He could deliver them from the hands of the Romans, restore their national identity and place of prominence. But, Jesus had come to preach the gospel of the kingdom of God (Matthew 4.23). When it comes to the knowledge of humanity’s identity and purpose, race is much like the crowd that followed Jesus. It is self- serving in origin and intention, disinterested in who we are and invested because of what we can do for it. For race, we are a means to an end and while we may feel that we have the support of race, we do not. Race will make us feel proud. Race will make us feel supreme. We will feel celebrated by race but only up to a point. Race will only go so far with us. And once we reach our Jerusalem of sorts, we will have to know who we are and why we’re here. This post also appears on the Grace & Race Ministries, Inc. website. I believe that the same holds true for race, as it is the master of many in American society and throughout the world. Race tells us where to live and to work, what to eat (Black people eat watermelon and fried chicken.) and to drink, who to love and to hate, how to talk (because you can sound white or black) and to behave, what to wear and how we appear to others. Race is a god that requires the daily sacrifice of self, will, and personal awareness. And if we love race, then we hate God. Yes, we hate God for making socially defined white, black, brown, red, or yellow people. We hate God for giving one “good hair” and the other “nappy hair,” for differences in complexion, eye color and shape, unequal physiques and proportions. We hate God for giving one social power and the other social powerlessness. This is the belief system of race. We can’t serve race without this confession. We seek first to be white; believing that once acquired all other things will be added to us (6.32). Neither serves the purpose of the other. If we hold on to our belief in race, we will despise God. We cannot serve God and race. Amen.